a business coach who helps professionals connect with their spiritual source so they can be authentic, intentional, powerful, successful, and happy. She has more than 20 years experience in marketing, sales, spiritual and business consulting and coaching. 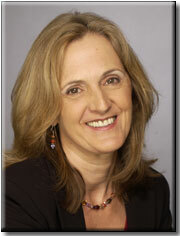 Linda has personally trained with Don Miguel Ruiz, author of The Four Agreements. Linda listens deeply, asks questions, and guides her clients to look within so they can access their authenticity and unlock their potential. They learn to identify what’s not working, determine what’s REALLY going on and uncover limiting agreements, beliefs and thoughts. Then she supports clients as they shift these thinking patterns and take powerful, focused action to improve their lives. A certified Toltec teacher, Linda integrates principles from The Four Agreements with her innovative process, DreamShifting, into her coaching, speaking and trainings which teaches business leaders to unleash their creativity, build business relationships, work easier and produce more. This lively and interactive talk introduces The Four Agreements and focuses on the enigmatic second agreement: Don’t Take Anything Personally. Linda invites you to examine the stress caused by taking something personally. Then she guides you through a participatory exercise that demonstrates how to shift into a totally new perspective that eliminates stress, clears up communication and brings peace. You will leave with a simple and powerful tool you can practice on your own to shift any challenging moment into a great one. Goal:	Calm the chatter in your mind so you can be a more effective leader, manager and team player. •	Stay calm under stress.